At ArtWorks, with 180 permanent murals and thousands of public artwork completed around the city, we’re fortunate to not have many incidents of graffiti happen to our work. We’re grateful that street artists typically respect other street art. 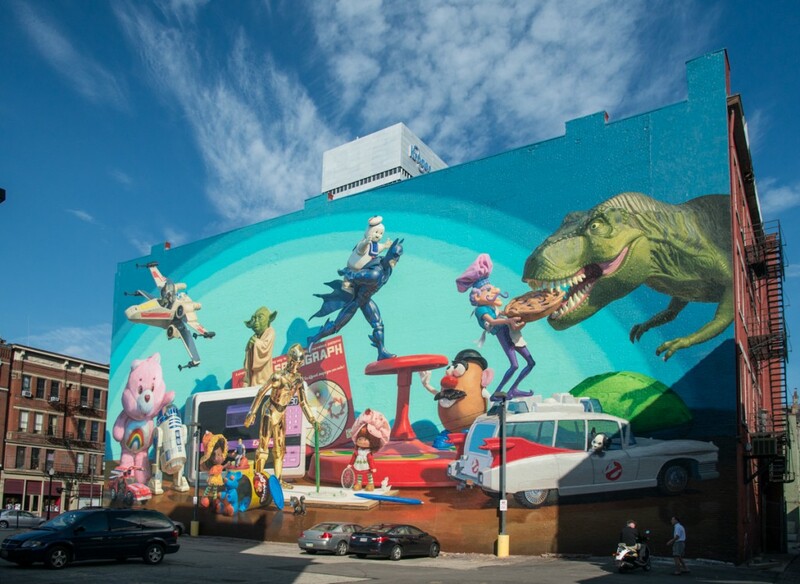 Unfortunately, our mural by Jonathan Queen, Cincinnati Toy Heritage, was defaced the weekend of March 30. As one of our most beloved murals, we’re committed to restoring the original piece as soon as possible. About ArtWorks: Founded in 1996, ArtWorks transforms people and places through investments in creativity. To date, ArtWorks has invested in emerging creatives, hiring over 3,500 area Youth Apprentices and 3,000 professional artists, and trained over 580 creative entrepreneurs, supporting the growth and launch of over 365 creative businesses in our region. ArtWorks is grateful for the support of many individuals and organizations, including the City of Cincinnati, the Carol Ann and Ralph V. Haile, Jr. / U.S. Bank Foundation, the generosity of community contributions to the ArtWave Campaign, and the Ohio Arts Council. ​Learn more at ArtWorksCincinnati.org.